One of my favorite quotations about photography originated with Brooks Jensen of LensWork Magazine: "The premise of LensWork is that photography is more than mere craft. Photography is, or can be, a way of life." 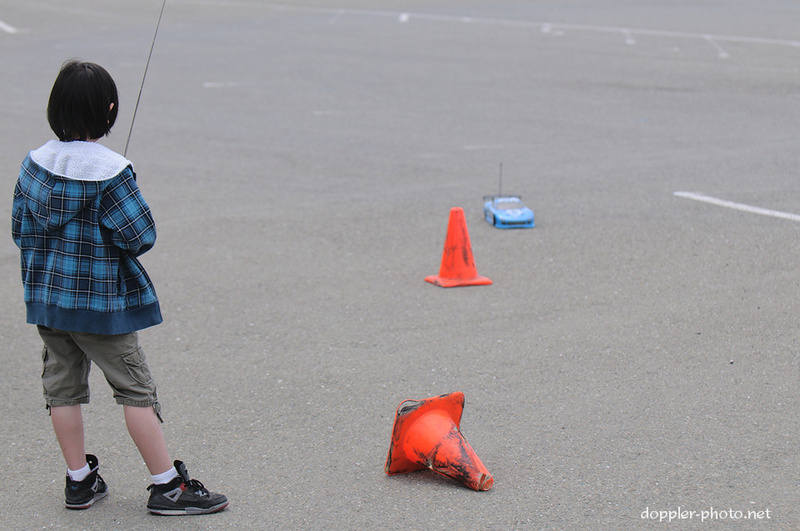 That premise is accurate, and really, the same thing is true of autocross. It's more than just driving. I first explicitly realized this two years ago, and mentioned it in my post "Go.". Now, two years down the line, I still find new situations (such as the one pictured above) that reinforce that original realization: you definitely go to drive, but you also go to hang out, to meet some new folks and catch up with some old ones, and maybe even to pass your love of cars on to someone you also love. This is Praneil, who dominated the AAA class. For reference all six of his timed runs were faster than the third-place time, and he beat second place by a full 0.3 seconds. 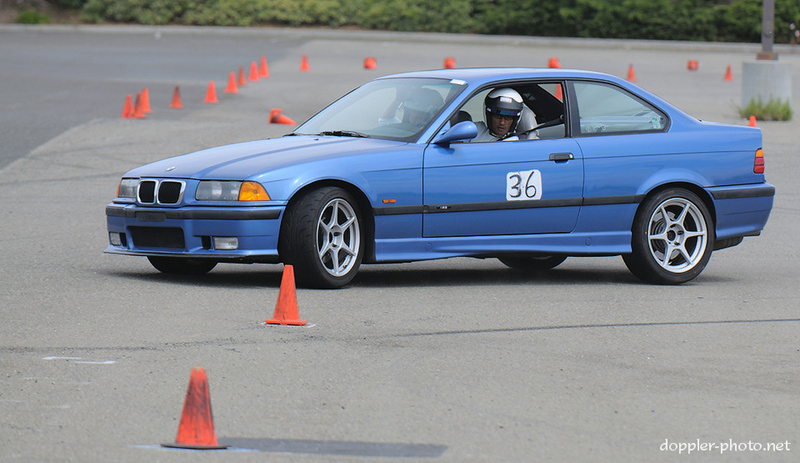 Here, he spots a cone out of his window as he comes around a sharp bend. The neat thing, though, is that when you drive fast, you end up back at interactions with other folks. 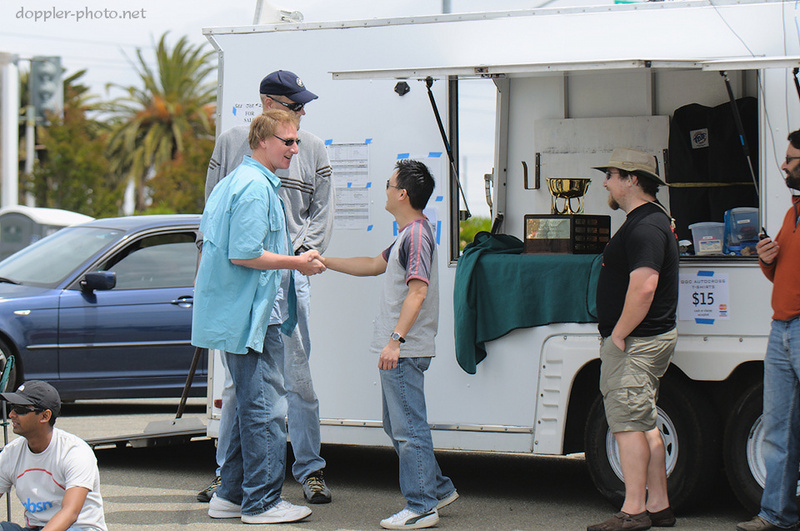 Above, Brian Cheung (right) shakes hands with Rodger Ball (left) after seeing the Fechner Cup for the first time after Rodger refinished it. After having placed first in the club's 2010 Top Driver Shootout, Brian's name will be inscribed on the side of the trophy alongside the previous winners. As always, click any of the images above to see a larger version or to get a print. You can check out the rest of the images here.